MILAN – Three goals against Napoli, who managed just the one. Inter opened their 2011 as they did in the previous ten years, by winning their opening game of the year, which was also Leonardo’s first. 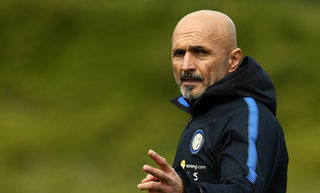 The dream of the Inter coach and of all the Inter fans has begun. 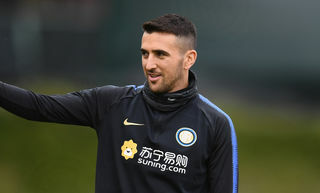 With still two games to make up, but with an extra World Cup medal in the bag, Inter resumed their title chase and are ready to fight for the top spots of the table. This evening the five trophies were on display on the field of the Giuseppe Meazza stadium to remind everyone of the unforgettable year, the year 2010, and to kick-start another, with Leonardo, which will hopefully be just as exciting. The first excitement of 2011 arrived quickly: just three minutes into the game and Thiago Motta took Inter into the lead, but Napoli, it is known, do not give up easily and eventually found the equaliser through Pazienza. But Cambiasso did not hang about on 37 as he connected with Maicon’s cross to beat De Sanctis. And it was a great effort that led to Inter’s third goal, even greater was the embrace between the goal scorer Thiago Motta, on his second of the evening on 55, and Leonardo, who waited for him on the bench with his arms stretched. FIRST HALF – For his debut on the Nerazzurri bench, Leonardo had to do without Eto’o, facing the third of his three match ban, as well as Coutinho, Sneijder and Julio Cesar, all injured. Castellazzi started in goal, and Prince Milito was up front alongside Pandev, with Stankovic behind them. Andrea Ranocchia started from the bench. For Napoli, Campagnaro replaced Grava. After a minute silence, to remember the Italian soldier Matteo Miotto, killed in Afghanistan, the game kicked off. And it could not have started any better for Inter, as after just 3 minutes, they took the lead through a left footed volley by Thiago Motta which beat De Sanctis and slotted in the bottom corner; that finished off the move that started with Pandev moving the ball to the outside of the box and Stankovic touching it perfectly for Thiago Motta. Napoli could celebrate just 4 later, but to their misfortune Cavani’s goal was disallowed for a Dossena offside as the original free-kick was taken. 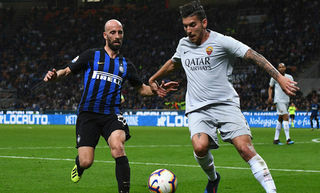 On 11, an Aronica foul gave an opportunity to the Nerazzurri just outside the box: Motta took it, searching for his second: the ball made it past the wall but also the crossbar. Napoli’s equaliser came on 25: from a Lavezzi corner Pazienza caught the entire Nerazzurri defence off guard and with his header he buried it for 1-1. On 33 it was Maggio’s turn to come close to a second, after Cavani’s pass, the Napoli number 11 sent the ball just wide. Inter also came close to a second just a few moments later, Chivu from the left served Milito in front of goal, but the Prince’s effort, despite being one on one with the goalkeeper, failed to hit the target. 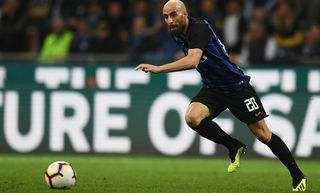 High tempo and lots of determination were characteristic of the game at the Meazza stadium, and they were characteristic of Esteban Cambiasso also as, on 37, he took Inter back into the lead by latching onto a perfect Maicon cross from the right and beating De Sanctis. Rocchi awarded one minute of injury time, and the Napoli keeper managed to keep Inter from getting a third by somehow deflecting a Stankovic effort from distance. SECOND HALF – Napoli took the initiative early on in the second half, and after 2 minutes Cavani’s low cross found Hamsik who got in front of Cordoba, but his effort was just wide of the target. Inter replied with Zanetti (4), but Cannavaro stopped him, and then with a right footed volley by Stankovic which ended over the bar (5); on 9 Milito’s cross into the box almost led to Inter’s third, but Maggio was quick to block the effort. From Pandev’s corner, it was Thiago Motta who lost his marker and headed it home perfectly for the 3-1. The Brazilian got his second, and Leonardo stretched his arms out in front of the Inter bench waiting for him, their embrace will no doubt be one of the best pictures of 2011. After his goal in Abu Dhabi, the skipper searched for a carbon copy of it today: just like against Seongnam, after a fast run he dispatched a powerful right footed effort, but the ball ended just beyond the far post (25). By 31 Mazzarri had used up all his substitutions; on 35 Leonardo made his first, replacing Stankovic with Mariga, and the Nerazzurri Dragon received a standing ovation. On 38 Biabiany relieved Pandev, and on 41 the Giuseppe Meazza stadium crowd was once again on its feet to salute Thiago Motta as he made way for Sulley Muntari. The cold Milan evening did not alter the play, warmed by the support of the 60’000 fans ready to celebrate the first win of 2011; and the victory came on 94 as Rocchi called an end to the game. Inter have started again, and have done so by winning with Leonardo: now the table reads 26 points, but the chase has only just begun. 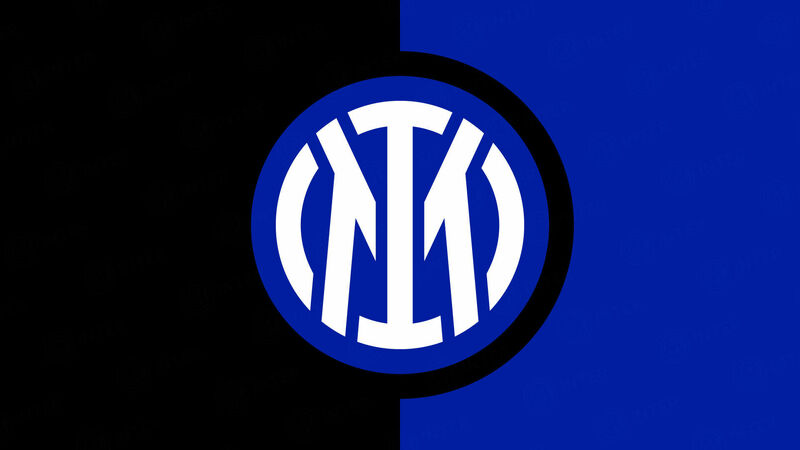 Inter: 12 Castellazzi; 13 Maicon, 6 Lucio, 2 Cordoba, 26 Chivu; 4 Zanetti, 19 Cambiasso, 8 Thiago Motta (11 Muntari 87); 5 Stankovic (17 Mariga 80); 27 Pandev, (88 Biabiany 88) 22 Milito. Unused subs: 21 Orlandoni, 15 Ranocchia, 23 Materazzi, 39 Santon. Napoli: 26 De Sanctis; 14 Campagnaro, 28 Cannavaro, 6 Aronica; 11 Maggio, 23 Gargano (21 Yebda 58), 5 Pazienza (77 Sosa 76), 8 Dossena (18 Zuniga 66); 17 Hamsik, 22 Lavezzi; 7 Cavani. Unused subs: 1 Iezzo, 2 Grava, 12 Dumitru, 13 Santacroce. Cambiasso: "Back into our stride in the league"
Milito: "We got the win, we want to keep winning"